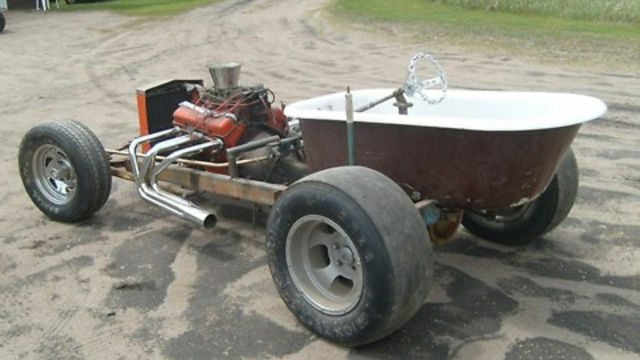 Someone from Minnesota spent several years creating this hotrod bathtub vehicle. 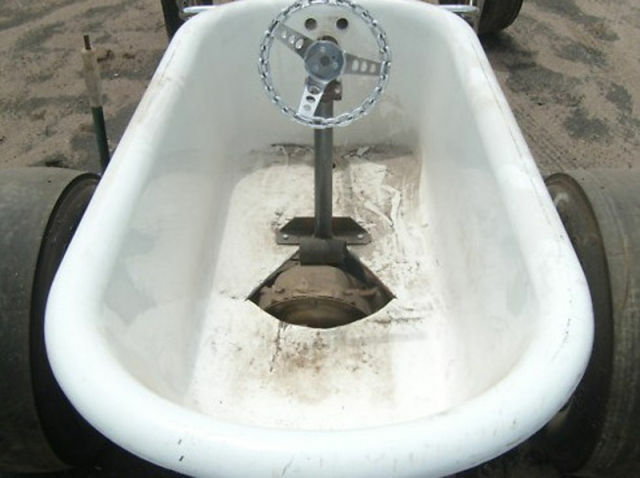 The car is now sold on eBay for almost $1,500 even though it’s unfinished and doesn’t run. 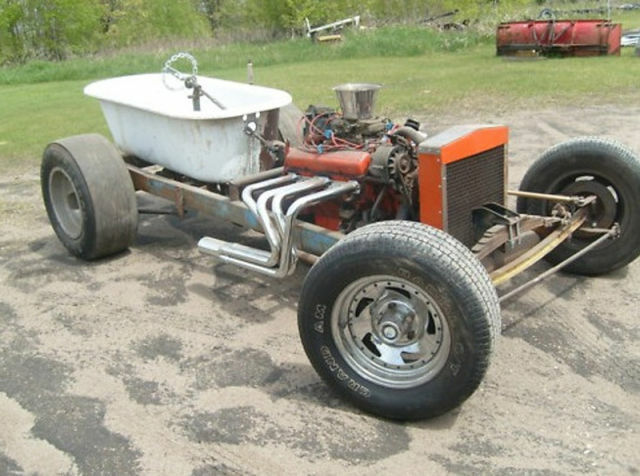 Hotrod Ratrod Bathtub car has a 2400 stall converter with a turbo 250, automatic transmission, V8 Chevy engine, chrome headers and a bathtub. 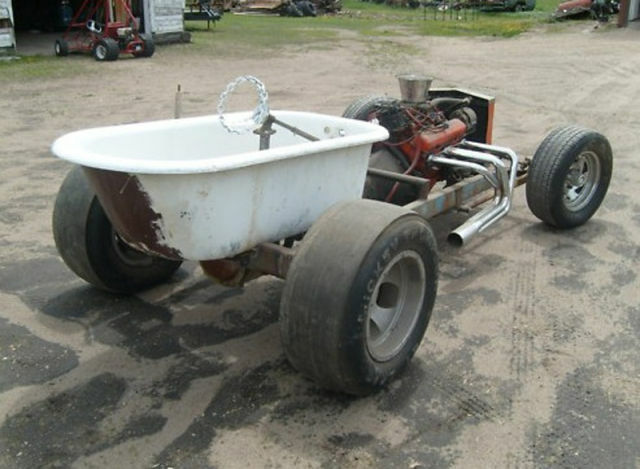 It can be a cool “rat rod or show car”, according to the seller. We can only add that it’s already an unusual show car, as it suprises and shocks the eye. Did he gather the rubber for the tires from rain forest trees or something? How could you spend years welding a pile of trash together? 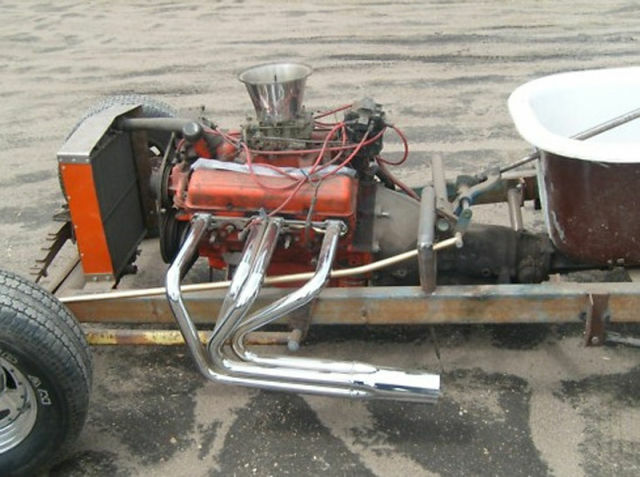 that their is what's called a "rat rod" a ligitamate off shoot of the hot rod art car movement. Search the term, you will see some very cool stuff.